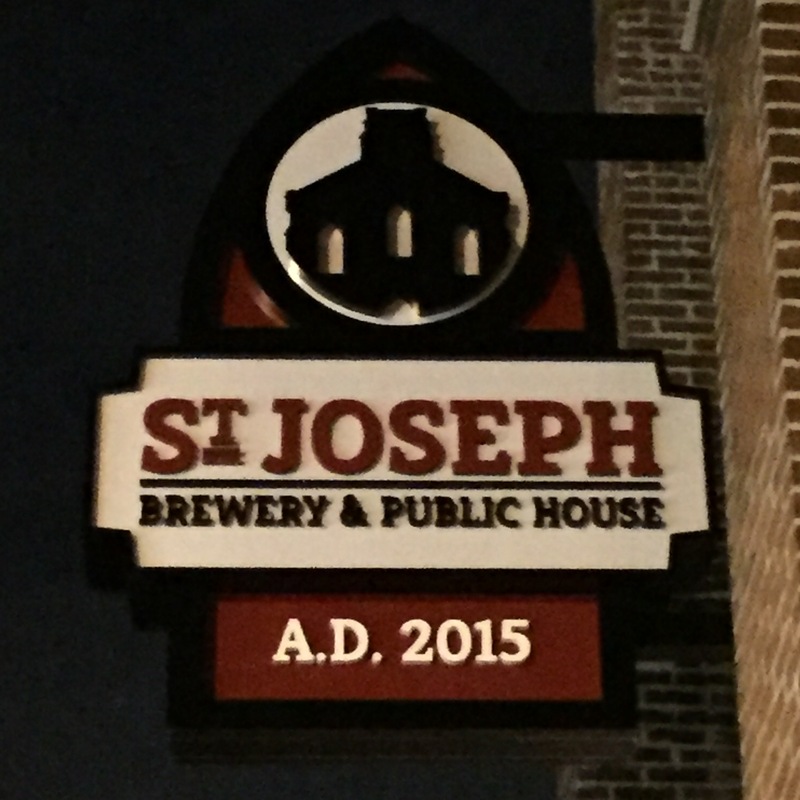 I stopped in at St. Joseph Brewery & Public House in Indianapolis, Indiana for dinner and a beer. 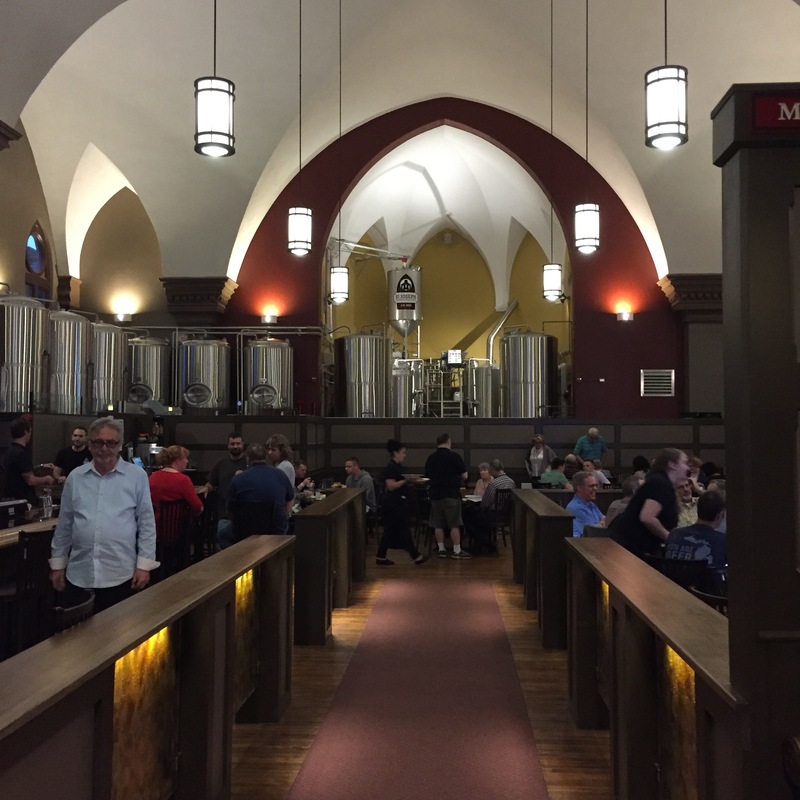 I tasted the Benevolent Belgian Blond and the Pew Buster Double IPA but I stayed with the Confessional IPA to enjoy with dinner which was the Claus’ German Sausage Sampler. The two beers I tasted were great, but the IPA was outstanding. And that name, Confessional IPA. 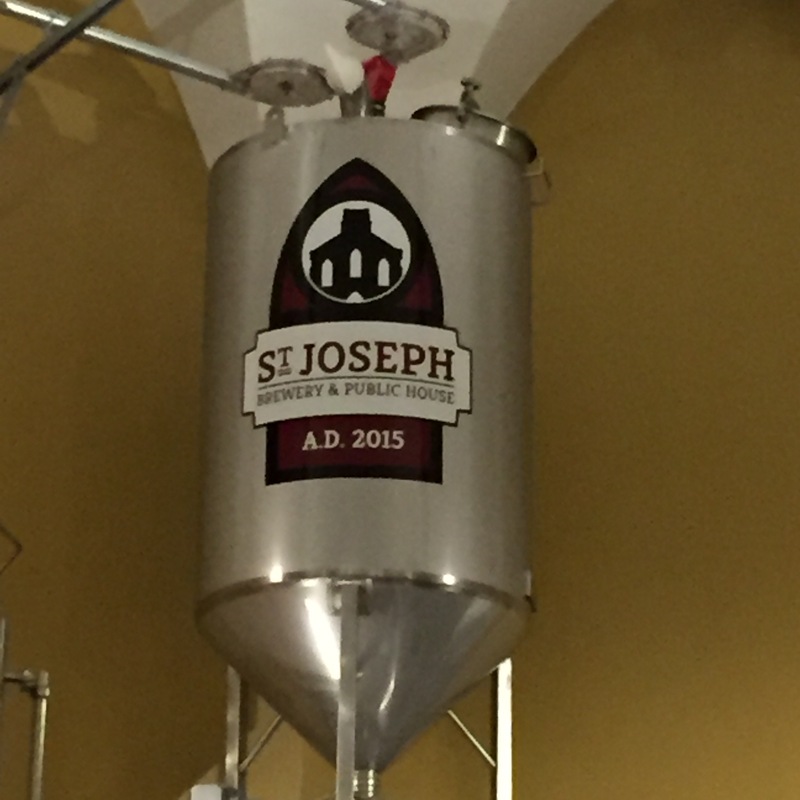 Of course, the brewery and restaurant are located in a former church building. It is pretty cool to be sitting inside the building having a meal and a beer. 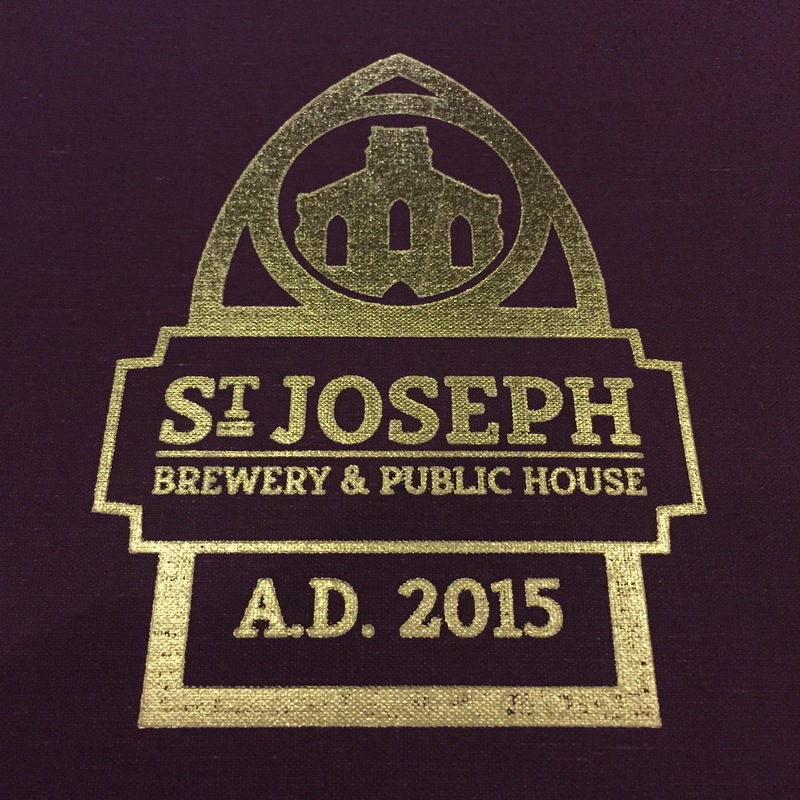 I highly recommend the food and beer.